Left over turkey sandwiches with pesto mayonnaise makes this favorite sandwich special. Slice avocados in half, scoop out the flesh, and place in a small bowl. Using a fork mash avocado well until smooth. Smooth 1/4 of the avocado on four of the bread slices. 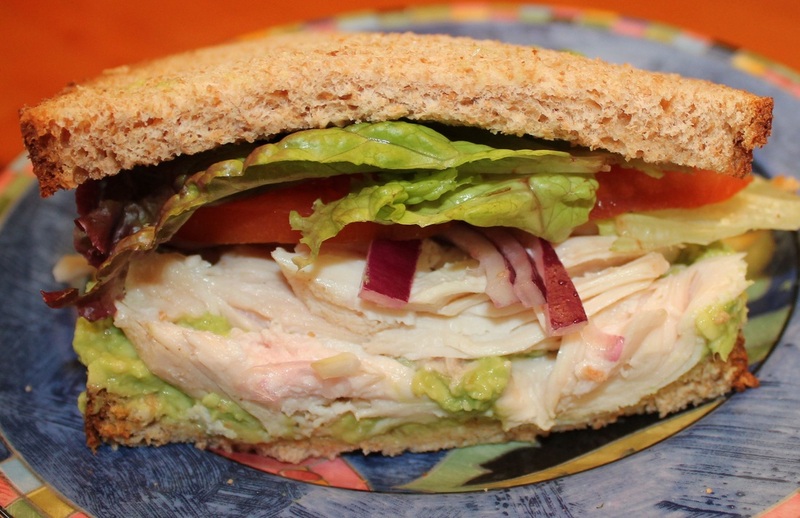 Layer 2 ounces of turkey over the avocado, then the tomato slices and top with lettuce leaves. Mix the mayonnaise and pesto together in a small bowl. Spread 1/4 of the mixture on top of the final slices of bread and place on top of sandwich.